IBM (NYSE: IBM) is a multinational technology and consulting corporation based in the US. IBM operates several research labs around the world and they are researching graphene related technologies - mostly graphene based transistors and photo detectors. In July 2014, IBM launched an ambitious 5-year $3 billion research initiative to find a silicon replacement for computer chips. Graphene is one of the materials under consideration. The Industrial Technology and Science group in IBM Research-Brazil, along with other academic collaboration partners, has reportedly proven for the first time that it is possible to electrify graphene so that it deposits material at any desired location at a solid surface with an almost-perfect turnout of 97%. Using graphene in this way enables the integration of nanomaterials at wafer scale and with nanometer precision. Not only has this new work shown that it is possible to deposit material at a specific, nanoscale location, it was also reported that this can be done in parallel, at multiple deposition sites, meaning it’s possible to integrate nanomaterials at mass scale. This work has been patented. IBM recently announced that its researchers have identified a new way to trigger the body's immune response by using polymer-coated graphene sheets. In some medical treatments, it is crucial to target specific places in the body; To that end, scientists have developed techniques where drug molecules are attached directly to the surface of a nanomaterial, such as graphene sheets. 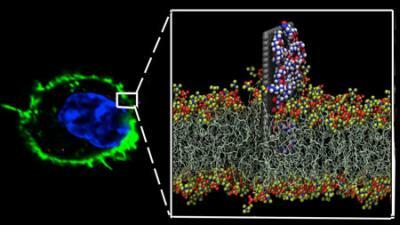 Combining the nanomaterial and the drug molecules, these "nanotherapies" could help clinicians treat tumors, for example, by transporting the drugs directly to the tumors, where they can be released onto the cancer cells to help fight the disease. Scientists at MIT, along with researchers from IBM, the University of California at Los Angeles, and Kyungpook National University in South Korea, have found a way to produce graphene with fewer wrinkles, and to iron out the wrinkles that do appear. The team reports that the techniques successfully produce wafer-scale, "single-domain" graphene - single layers of graphene that are uniform in both atomic arrangement and electronic performance. After fabricating and then flattening out the graphene, the researchers tested its electrical conductivity. They found each wafer exhibited uniform performance, meaning that electrons flowed freely across each wafer, at similar speeds, even across previously wrinkled regions. IBM scientists announced a remarkable engineering achievement - they have managed to exchange the silicon transistor contacts in transistors for smaller, more efficient, carbon nanotubes. This could have revolutionary potential as silicon is getting harder to shrink in size, while CNTs can allow a reduction in the size of transistors. The smaller silicon transistor contacts get, the higher their electrical resistance becomes. There comes a point where the components simply get too small to conduct electrons efficiently and it seems that silicon is nearing that point. Carbon nanotubes, on the other hand, are a different story. They measure less than 10 nanometers in diameter (less than half the size of today's smallest silicon transistor contact) and IBM actually had to devise a new means of attaching these tiny components. Known as an "end-bonded contact scheme" the 10 nm electrical leads are chemically bonded to the metal substructure. Replacing these contacts with carbon nanotubes won't just allow for computers to crunch more data, faster. This breakthrough ensures that they'll continue to shrink, following Moore's Law, for several iterations beyond what silicon components are capable of. Recent reports indicate the issue of a patent assigned to IBM, regarding a graphene resistor based tamper resistant identifier with contactless reading. The invention seems to relate to an identification system that is more immune to copying than traditional barcodes. 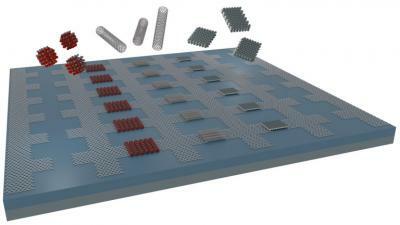 The method for creating this invention includes arranging an array of graphene resistors in parallel or series. The method also includes forming a unique identification code based on respective temperatures emanating from respective voltages output from the graphene resistors when the array of graphene resistors is in a powered state. Another aspect described in the patent application is an authentication apparatus that includes a plurality of graphene resistors with a bandgap voltage generation circuit or a bandgap current generation circuit connected to the plurality of graphene resistors for powering up the plurality of graphene resistors in the powered state.